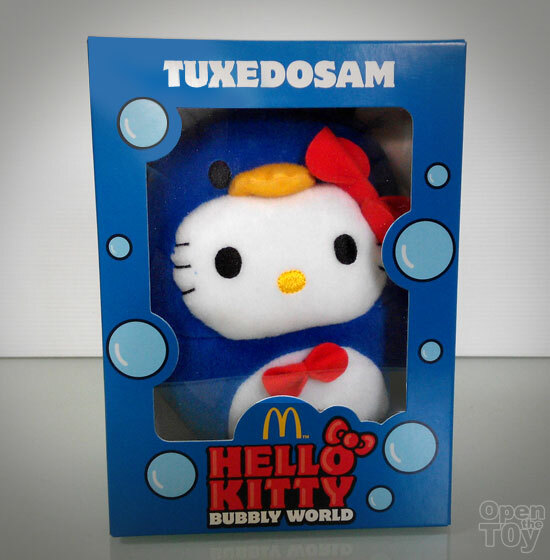 Today is another release of Bubbly World of Hello Kitty at McDonalds and one that I felt is the best of the series which is a personal preference. It's Tuxedosam. Once I open the toy, it was just what I have expected. 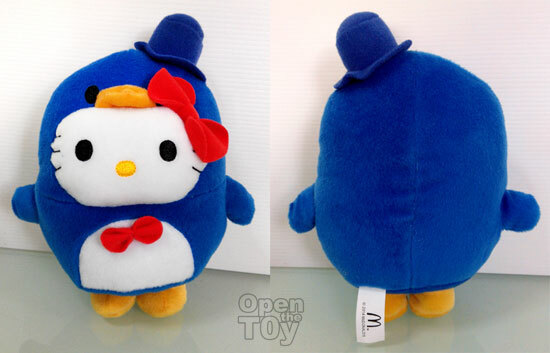 Hello Kitty in a Tuxedo penguin suit. 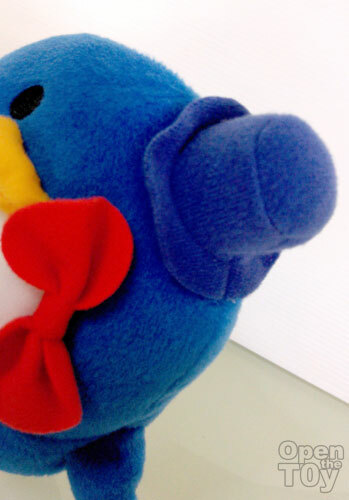 It is blue in color by the way and not a black for those who think about Penguin. 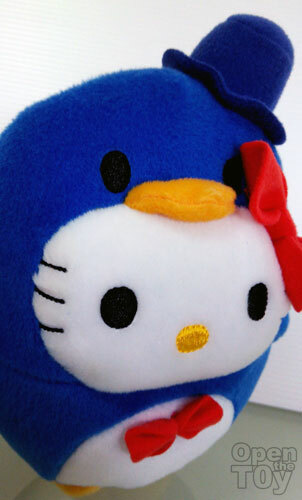 A close up you can see Hello Kitty and Tuxedosam. 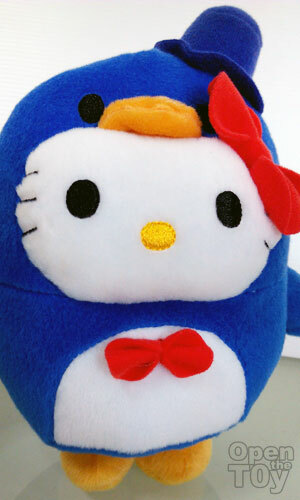 However you see the red ribbon on Hello Kitty head kind of cover an eye on the character again like the rest of the series. 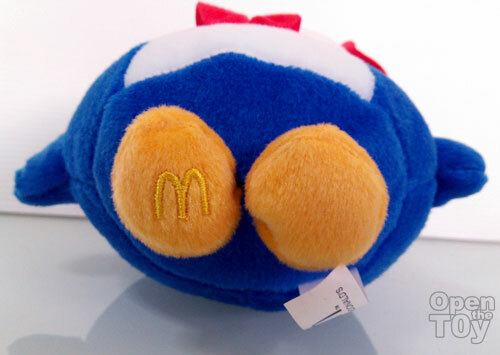 It is a very round figure and you can see the Mcdonald sign on one of his feet. Another cute feature was a tall hat wearing on the side of her head. 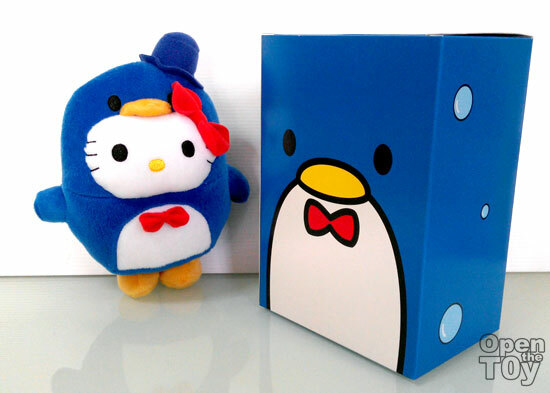 Overall this is one cute toy with good striking colors and cute character.